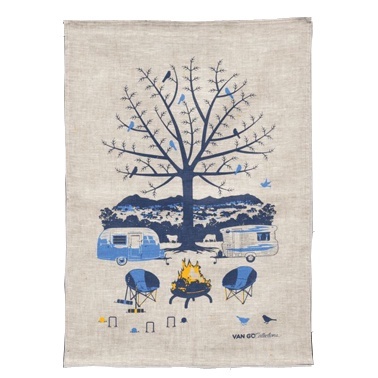 This 100% Linen Tea Towel is designed and screen printed in Australia. The new season is the perfect opportunity to do something new, something bold and something beautiful. This season, experience the tranquility and beauty of our vast countryside in our unique vintage vans. Relax and unwind as we rug up, stay warm and enjoy these cosy winter days.